On 12:00pm on January 4, 2006 Bonneville Radio announced a shuffling of its Washington, D.C stations. News WTOP moved from its 1500/104.3/107.7 simulcast to 103.5. Classical WGMS moved from 103.5 to the 104.1/103.9 simulcast that had been the home of Adult CHR Z104. This was to pave way for the March debut of Washington Post Radio on the 1500/104.3/107.7 simulcast that had been home to WTOP. 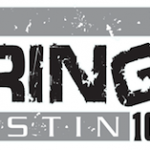 Z104 had been through a number of iterations in its 9+ year history. First was the pure CHR format in the mid to late 90’s. It’s evolution to a more adult sound lead to the station dropping the Z from its name for a few years in favor of “More Music 104” before returning to the Z104 name. Listen here as Z104 plays its final song, gives its last ID, and GM Joel Oxley announces what the future holds for the 104.1/103.9 signals. I am really sad and angry about this format change. I loved z104 sinse it’s beginning and as my taist in music changed, z104’s did also. Z104 was my nighttime companion, my friend, my study partner, and so much more. While away at school I used to listen to z104’s webcast and it made me feel connected to my hometown (I even enjoyed hearing about traffic holdups on the beltway) In 2005, I attended a party at my neighborhood pub (the 4p’s) that z104 hosted featuring Better Than Ezra and Carbon Leaf. Thanks to the shirt, I do at least have a perminent memory of a station which meant so much to me, and which was my companion through some difficult times in my life. I will always remember and miss z104 and want to thank the staff for such a wonderful station. Goodbye 104, Thanks for the great music. I will always miss you. I would like to especially thank Sean Sellers and JV, you guys were great DJS and I hope that you find other employment. We DID NOT need another WTOP signal and I can’t believe that Z104 is gone. You know;;;; It’s little wonder why FM radio in this country is losing it’s listners in large numbers to Satellite Radio… Since the Big compnaies like Infinity, Clear Channel and Bonneville started sticking their noses into broadcasting and buying up and totally monopolizing the airwaves from the CORPORATE chair….we ALL lose. GONE is radio like is should be and would normally be. All the SUITS think about is money and to Hell with the listeners. You guys change station formats more frequently than most people change their underwear…. Heck now we can all listen to Fredericksburgs bank of translaters Nick-FM all christmas all year long…. Come on people What’s wrong with this picture ? ….And yes let’s not forget how touching Joel’s farewell to Z-104 was…How pathetically sorry he wanted us all to think he felt about yet another 104.1 format change…. Thanks for the comments, everybody. I know I speak for Mat, Whit, Jenni, Sean and Matt when I say we really had fun working together. I don’t think we’ll ever have that type of situation again. Just wanted to let you know that I still miss z104. I have XM radio now, but it still doesn’t replace 104 in my mind, anyways. Every time I walk past the former studios of 104 to go to Cactus Cantina or Starbucks, I still feel sad and angry about the loss of such a great station. Good luck, and I hope you all find other stations, where the format doesn’t change for a while. I always liked Z104. Always tried to DX it from home in Bensalem, PA. Now I have nothing to look forward to DXing on 104.1-FM. Just wish there wwere more airchecks floating around. Usually the trop around here didn’t keep the station in stereo long enough to aircheck. It was a different format as far as Hot AC/Modern AC’s go, especially in 2005. DC is becoming a nothing but news outlet. I am also in agreement a that DC didn’t need another WTOP signal. Classical did ffine on 103.5. Was Z104 that horibly rated? I don’t even get why they took that off. Hopefully the suits at Bonville didn’t lose money on the news outlet on FM. Hey, happened on this site while cruising the ‘net trying to figure out what happened to my buddy Sean Sellers. Anyone know? He and I used to shoot the breeze about my favorite band, U2, which was also a favorite of his. Radio in the DC area just isn’t the same without Z104. I miss it every time I get in my car. Sean Sellers is now down in Greensboro, NC, programming a station known as 98-7 Simon. I think the site is //www.987simon.com. He’s loving it, and the station sounds awesome. One must wonder why the owner would flip a cooking HOT AC/CHR to funeral drigs classical. WTF?! I wonder how they could justify more in sales off classical, where they aware of how many commercial classical outlets have gone Tango Uniform in the last decade? Ironicly as I type this, Booniville is once again about to shake up it’s DC cluster by dumping Washington Post radio. If the had WTOP why would they ever have needed a partnership with the Post?